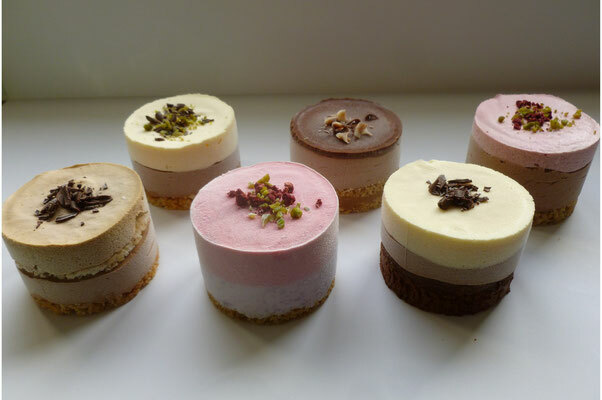 Mix and Match your FROZEN individual desserts. 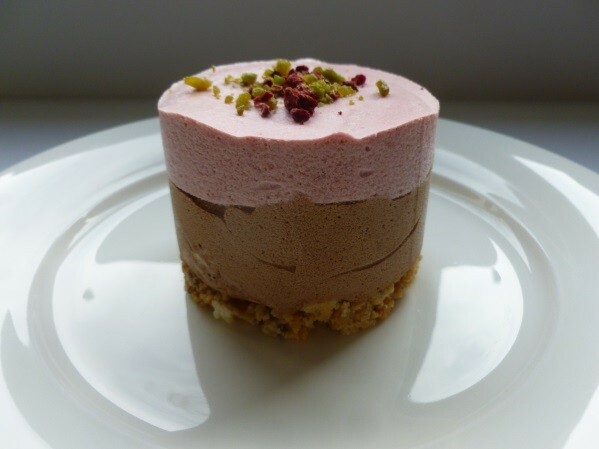 Almond and hazelnut biscuit base with layers of light dark chocolate mousse and raspberry mousse. Decorated with pistachio and dried raspberries. 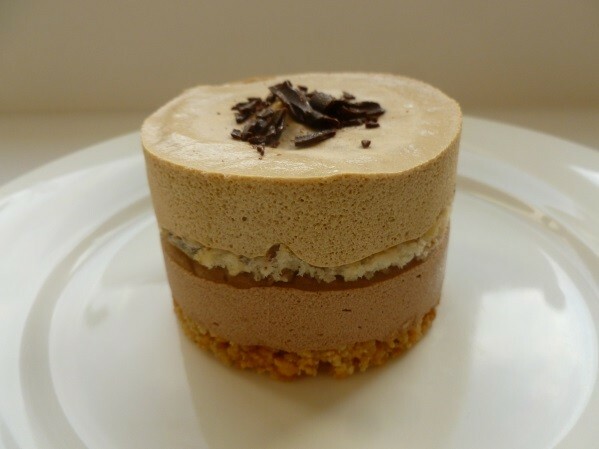 Salted caramel layered with biscuits, topped with a light dark chocolate mousse and a chocolate ganash. Decorated with chocolate swirls. 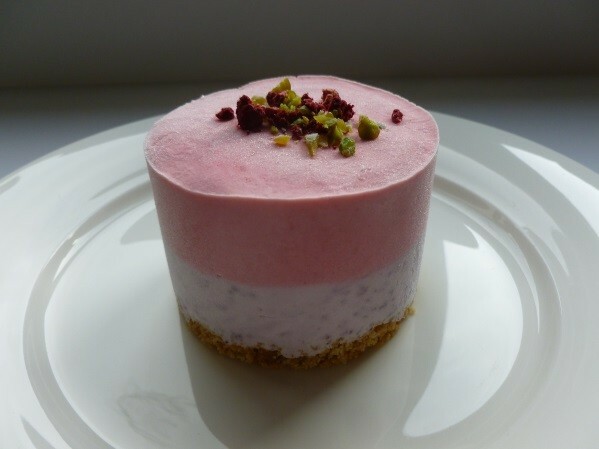 Biscuit base topped with a light blueberry and raspberry cream cheese mousse Decorated with pistachio and dried raspberries. 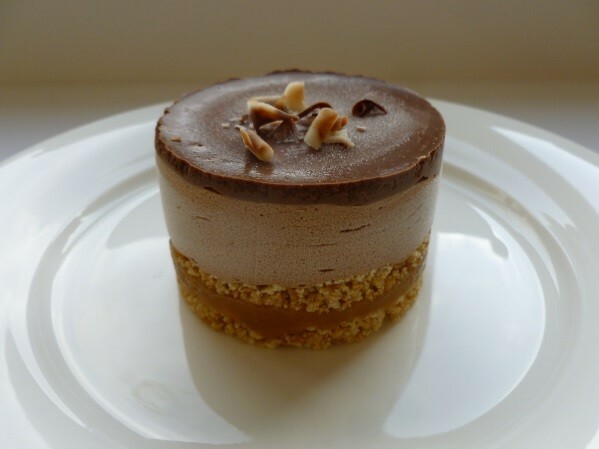 Crunchy almond biscuits base topped with a light chocolate and coffee mousse sandwiched with a walnut sponge. Decorated with chocolate swirls. 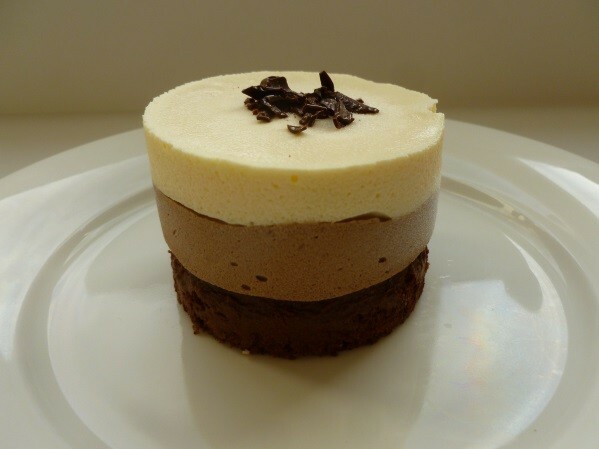 Almond and hazelnut biscuit base with layers of light dark chocolate mousse and white chocolate mousse. 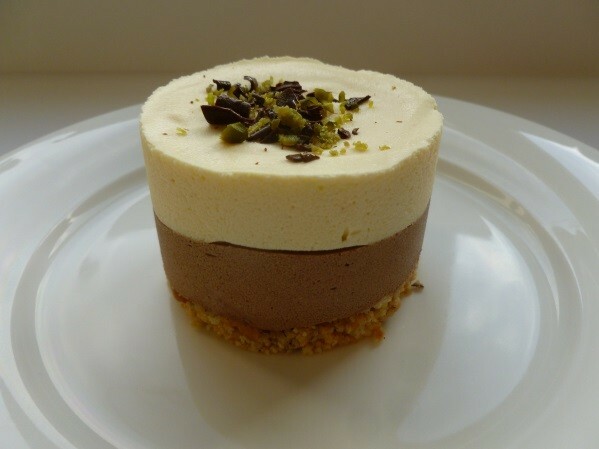 Decorated with pistachio and chocolate curls.